Missional Life at NewSong is crossing social and cultural boundaries and living life with lost and hurting people at home and abroad. We desire to be intentional in being Light as transformed followers of Jesus Christ. We desire to serve others as Christ served - unconditionally and sacrificially. We want to be a movement of people who ENGAGE with the world on a local and global perspective. Every person on this earth matters to the Father. Through missions, we build and support relationships that inspire change – a life of hope and purpose rooted in Jesus Christ.  We also partner with other organizations that complement the gifts of the NewSong family so that the Kingdom of God can be realized on earth as it is in heaven. Opportunities to engage with our community locally!